When writing a book, especially one’s first book, it is essential to have a clear idea as to what the book will be ‘about’. Long before finishing the eighth draft of Summer on the White Grass which I consider to be my ‘first book’, I was having second thoughts about the story line, and had the suspicion that I was writing two, or maybe even three books all at the same time. I didn’t have any clear vision on this subject until I had double cataract surgery in the early afternoon of November 8, 2016. Somehow, as the dust of political reality began to settle early in the morning of November 9th, my visual acuity was becoming magically restored and my mental fog as to what my book should really be ‘about’ began to lift. The idea of writing a book hadn’t occurred to me until my sweetheart (and fiancée), Jane Butel (a really good, experienced writer!) began to punish my constant expression of social commentary, coupled with my verbally severe criticism of the political stupidity I observed in the media and the election campaigns, by telling me I should start a “blog”. Sorry, I detest today’s social media (especially Facebook), didn’t know what a blog was and, even worse, had been hounding Jane about the urgency for her to begin writing her autobiography. Neither of us are young kids, and time –for writing–could be running out. The idea of my trying to write a book before she wrote her auto-bio, I thought, might be like putting a bur under her saddle.That’s an appropriate simile because Summer on the White Grass was to be the story of my experience in trying to find and live the ‘Cowboy Life’ when I was nineteen and found my way to the White Grass Ranch in Jackson Hole, Wyoming. My problem as a would-be writer is similar to my problem as a would-be cowboy. I had never done either, before. I survived and thrived on my experience as a ‘wannabe’ cowboy. How my experience as a writer will turn out is yet to be determined. The writing problem I encountered in “Summer” was that I couldn’t stop myself from inserting social or political commentary in the young cowboy story. So, this final (I hope!) redraft is now going a different direction. I want to deal with the moral degeneration in the world, especially in the USA, and failure of leadership that I see today. 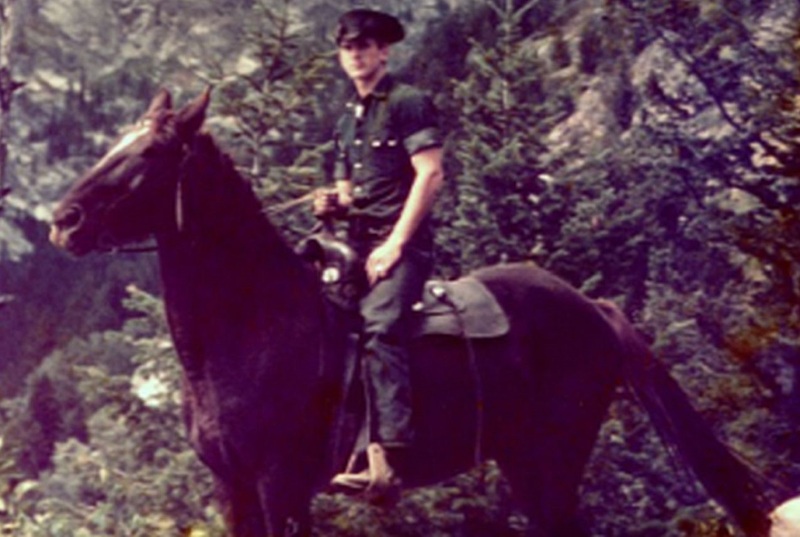 The story of the ‘Young Cowboy’ and the White Grass Ranch property being bastardized by the National Park Service and the National Trust for Historic Preservation is just a tiny snap-shot into the canyon of moral depravity we have fallen into. They will be included in Parts II and IV of this book still titled “Summer on the White Grass”. Furthermore, I am not sure ‘morality’ is a totally cast-in-concrete concept. The development of high ‘moral character’ is neither something a country of people nor or I as an individual acquire by a certain age or because of certain experiences or educational systems. However, it’s a quality easy to discern and its lack, or absence, is immediately evident in our social, commercial, political and governmental ‘world’ today. This book, now subtitled “The Four Seasons of Morality” is my attempt to show how life experience formed my opinion of our present national moral (or immoral?) character as well as my personal moral character. The reader will get my opinions but is expected to form his own conclusions on this subject. No lesson plan, tests, or diploma to follow. My apologies to Gibbons: The Decline and Fall of the United States of America can’t be written because–while we seem to be in a serious ‘decline’–we aren’t quite ‘fallen’, as yet. Warning: this book is about 50% memoir, 45% my social commentary, 85% my young cowboy experience, 25% indictment of the National Park Service and the National Trust for Historic Preservation, 35% ode to the beauty of the Tetons –and 15% my thanks to Tom Robbins for giving me his Robbinsesque concept of percentage content –and my apology for my not being able to write as well as him. Worse yet, my similes and metaphors are not even 1% as good as his. On the other hand, what I have written is all true or honest opinion. Not one-tenth of 1% of this book would qualify as a novel. My true story is in regular type. My opinions and social commentary are in italicized type.